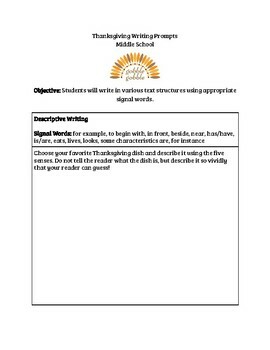 Help your students learn or review text structures by completing these fun Thanksgiving writing prompts! 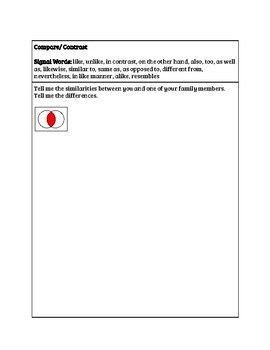 You can jigsaw, work in small groups, or have students write one each day leading up to Thanksgiving. Enjoy! 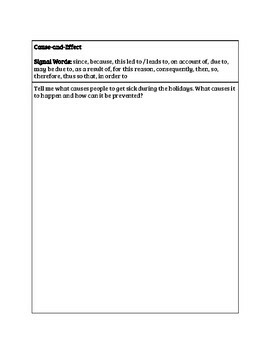 Text structures included are: Descriptive Writing, Sequence/Time Order, Compare/Contrast, Cause-and-Effect, Problem and Solution. Each text structure includes signal words suggested by the Virginia Department of Education.